Georgia’s greatest kings, was especially fond of eating mtsvadi in the mountains. 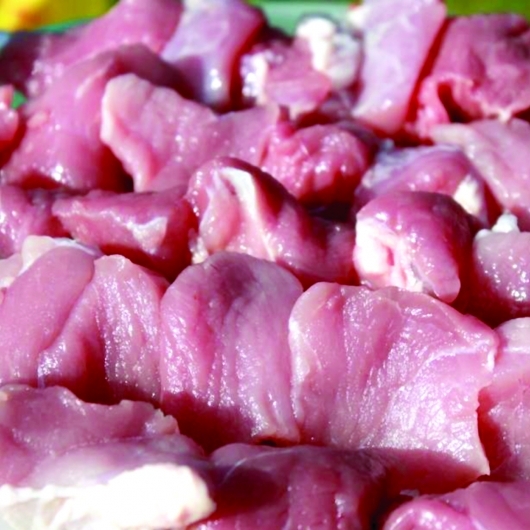 Mtsvadi can be made with pork, mutton or veal. Beef should be used only if all other options are unavailable. Marinating the meat in pomegranate juice before roasting makes it especially tender, juicy and delicious. Cut the meat into medium-sized pieces and slice onions into rings. Put the two in a pot, mix and sprinkle with dried spices, pepper, finely pounded coriander seeds and salt. 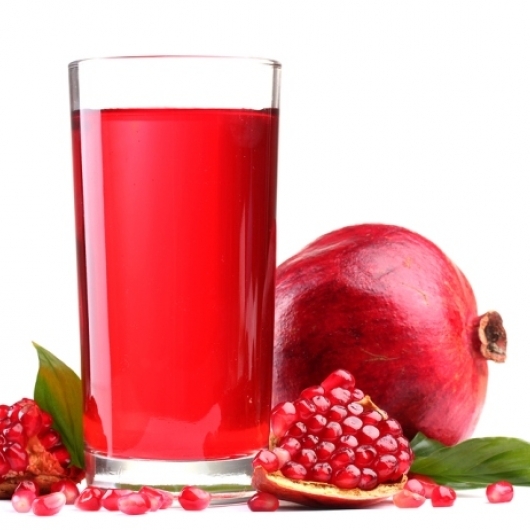 Pour on pomegranate juice, two spoonfuls of oil and mix again. Take a large plate, flip it and cover the spiced-up meat. Make sure to put something heavy on the overturned plate to ensure that it presses down hard and the meat remains completely submerged in pomegranate juice. 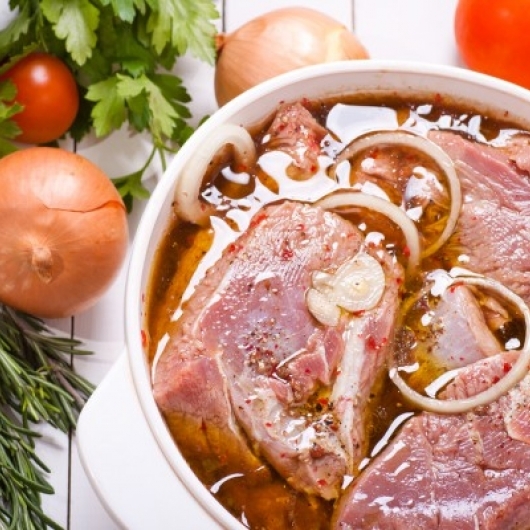 Ideally the meat should remain that way in the fridge for 2 days, but if you are in a rush, one day is enough. 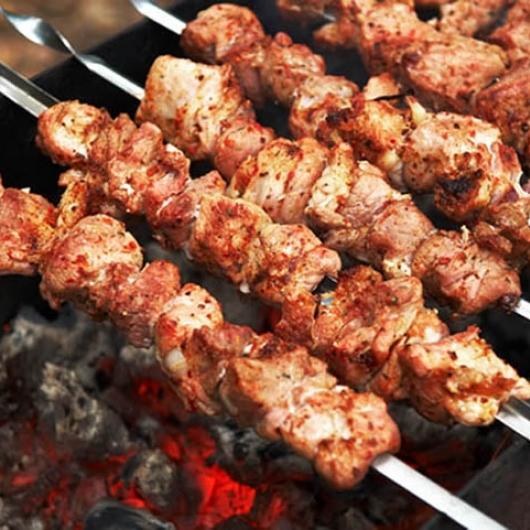 Skewer the meat and roast it on hot coals. Remember: As the fat drips off the meat (especially with pork) it will often cause the hot coals to flame up. Watch carefully and make sure to prevent the flames from burning the meat. Remove the skewer for a few seconds if the flames are large. Tip: Use a stick to push the coals around to put out the flame. Make sure the coals are evenly dispersed. The trick is to have all the glowing coals burning (not flaming) consistently. This method of slow-cooking the meat over an open fire not only makes the meat tender but it also will add tremendous flavor.